A panel of the nation’s top public health experts is pushing for a sweeping set of policy changes and laws aimed at accomplishing an audacious goal—an end to deaths caused by drunk driving. But the recommendation touted as having the largest potential impact on deaths might also be the hardest to sell: lowering the amount of alcohol you need to drink before you legally shouldn’t get behind the wheel. On Wednesday, the National Academies of Sciences, Engineering, and Medicine, a mostly government-funded, but independently run organization that offers advice on national health policy, released a new consensus study report, billed as a “comprehensive approach” to the persistent problem of drunk driving. The report is the work of a committee of 13 experts sourced from places like Yale University, UCLA, and Johns Hopkins, and summarizes the existing evidence surrounding policies that attempt to reduce drunk driving deaths. It highlighted the overall success the US has had in lowering deaths caused by drunk driving since the 1980s—when laws like those that increased the legal drinking age to 21 were first implemented—but also found that the number has stayed stagnant in recent years. From 2009 to 2015, for instance, the annual reported toll has been around 10,000 deaths. The only way to substantially lower drunk driving deaths in the near future (long before, say, smart cars are in every driveway), the report concluded, is through drastic steps like banning alcohol sales from gas stations or drive-through stores; an expansion of specialized courts that provide counseling and support to repeat offenders; and the wide-scale development and implementation of interlock technologies that prevent drunk people from starting a vehicle. But chief among the recommended changes is that all states should modify the laws that dictate when someone is too drunk to drive. Currently, someone can be charged with driving while intoxicated if they have a blood alcohol concentration (BAC) of .08 or higher (in many states, though, impaired drivers can still be charged with a lesser crime of driving under the influence at lower BAC levels). The report recommends the limit should be .05 instead. As most anyone well knows, lots of factors can influence someone’s potential drunkenness, including weight, gender, and how much you’ve eaten before, but very roughly speaking, it can take anywhere from two to five drinks within a hour to reach a BAC of .08. For .05, it might take one to three. This isn’t the first major push to lower the legal limit. Since 2013, the National Transportation Safety Board (NTSB) has routinely recommended a universal decrease to at least .05 BAC or even lower. And the .05 limit seems to be a wholly uncontroversial idea among experts in the field. 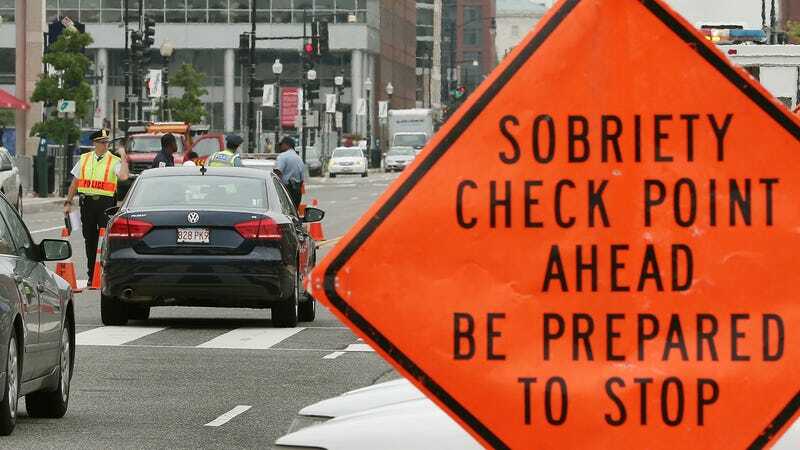 “There is strong empirical evidence, both from the US and from other countries, that a lower BAC limit would contribute to a safer driving environment,” Diana Silver, an associate professor of public health policy at NYU’s College of Global Public Health, tells me over email. In countries that have embraced a .05 limit, like Australia, the results have been dramatic. *This post originally misspelled Diana Silver’s first name. We regret the error.